Where we went: Auckland, Paihia, Keri Keri, Tairua, Raglan, Rotorua, Taupo, Tongariro, Wellington, Golden Bay, Franz Joseph, Fox Glacier, Queenstown, Christchurch. Length of stay: one month. What we loved: pretty much everything but particularly the spectacular scenery, the laid-back atmosphere and cleanliness. 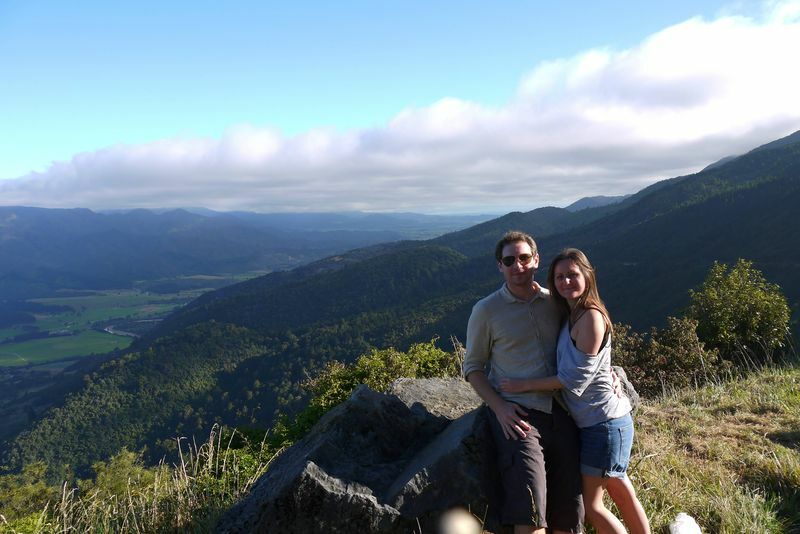 What we didn’t love: the prices; accommodation, activity and basic food costs made New Zealand our most expensive country to date, you can take a look at exactly what we spent in our cost post. Fave places: Golden bay, Queenstown, Taupo and Raglan. 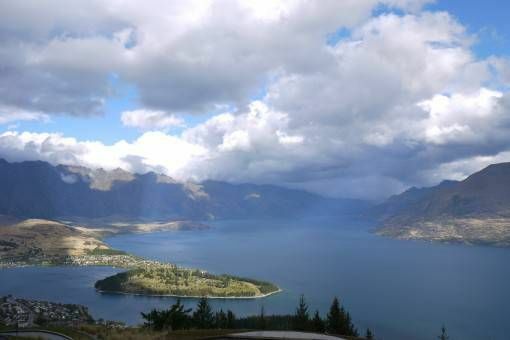 Top travel experiences: Skydiving, hiking the Tongariro crossing, the Rock Boat Overnight Cruise. Where we went: Melbourne, Great Ocean Road, Sydney, Cairns, Port Douglas and Cape Tribulation, Townsville, Airlie Beach, Rockhampton, 1770, Hervey Bay, Brisbane, Surfers Paradise, Byron Bay. Length of stay: five weeks. What we loved: the amazing bustling cities, staying with Andrew’s family for a week, holding a koala and meeting all the weird and wonderful animals. What we didn’t love: the backpacker party scene, the prices and the long distances from one place to the next. 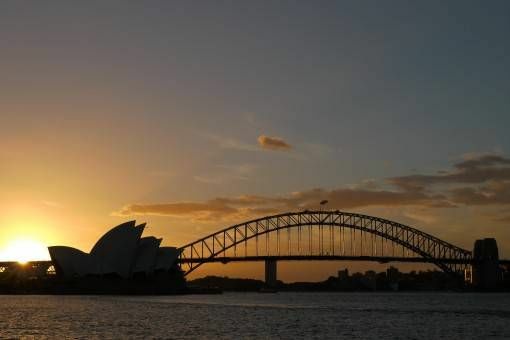 Fave places: Melbourne, Hervey Bay, Sydney. Top travel experiences: Snorkelling on the Great Barrier Reef, the Neighbours Tour and Trivia Night, visiting Lone Pine and Featherdale wildlife parks. Where we went: Jakarta, Yogyakarta, Surabaya, Kuta, Ubud, Kerobokan, Gili Islands and Senggigi. Length of stay: six weeks. What we loved: the prices; as you can see in our cost post, Indonesia was our cheapest country to date. The weather was also incredible while we were there and we saw some spectacular scenery. What we didn’t love: Jakarta, culture shock, giant spiders, being hassled. 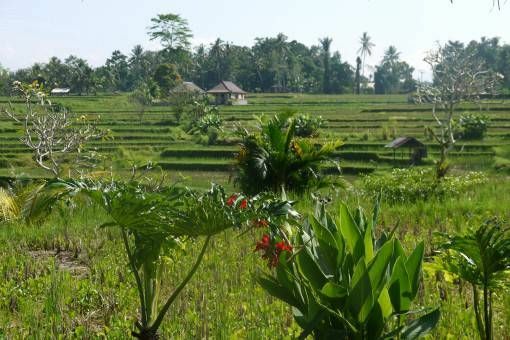 Top travel experiences: the Bali Eco-Cycling Tour, our Midnight Tour of Mount Bromo, visiting Borobodour. Where we went: Kuala Lumpur, Borneo: Kuching, Batang Ai, Sri Aman, Lahad Datu, Danum Valley, Kinabatangan, Sandakan, Kota Kinabalu. Length of stay: three weeks. What we loved: the friendliest people we’ve come across so far, amazing wildlife in Borneo, getting off the beaten track and feeling at home in Kuala Lumpur. What we didn’t love: over-priced, bad quality hotels, the food – apart from one stand-out meal at Bike and Tours in Lahad Datu. 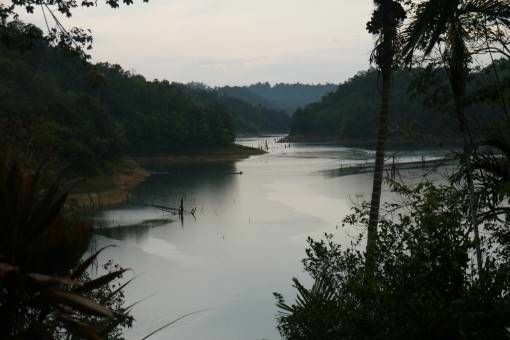 Fave places: Kuching, Danum Valley, Kuala Lumpur. Top travel experiences: staying in a longhouse and sleeping out in the jungle in Batang Ai, staying at a scientific field camp in Danum Valley, our river boat tours in Kinabatangan. Where we went: Manila, Bohol and Panglao, Banaue, Batad, Sagada, Baguio city. What we loved: pretty much everything; the landscape, the polite people, the mountains, food and incredible treks. What we didn’t love: the cockroaches, the overnight bus from Manila to Banaue, Baguio city. Fave places: Sagada, Banaue, Batad, Bohol. 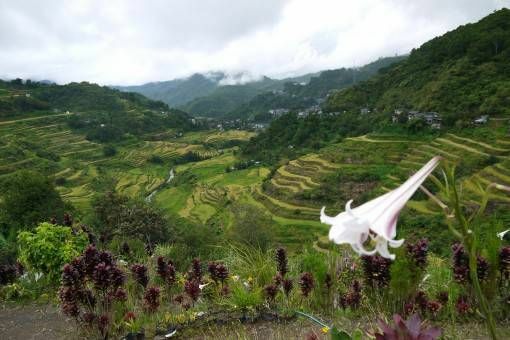 Top travel experiences: Hiking the Batad Rice Terraces, going caving in Sagada, visiting the Chocolate Hills. Where we went: Bangkok, Chiang Mai, Kanchanaburi, Pai, Chiang Rai, Koh Samui, Koh Phangan, Koh Tao, Koh Phi Phi, Surat Thani. Length of stay: three months. What we loved: the comfort and ease of travel, meeting up with friends and family, staying in an apartment in Chiang Mai, finding great food. What we didn’t love: overnight trains and buses, some overpriced taxis and tuk tuks and the negative effects of tourism such as rubbish on the beaches. Fave places: Chiang Mai, Kanchanaburi, Pai. 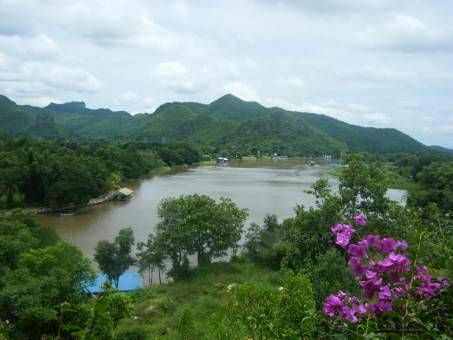 Top travel experiences: Volunteering at the Dog Recue Project, visiting the Elephant Nature Park, riding the Death Railway in Kanchanaburi (Amy), visiting Erawan national park (Andrew). Where we went: Huay Xai, Luang Namtha, Luang Prabang, Vang Vieng, Vientiane, Phonsavanh, Xam Neua. What we loved: the extremely laid-back people and atmosphere, cheap prices, baguettes, the non-touristy feel, the history. What we didn’t love: some of the food, the bus journeys and the ATM fees. 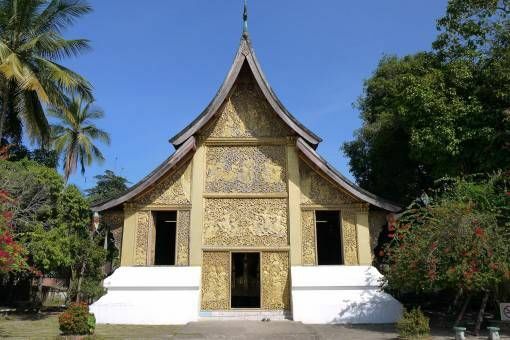 Fave places: Luang Prabang, Phonsavanh, Luang Namtha. Top travel experiences: the Vieng Xai cave tour, our trip to the Kuang Si waterfall, visiting the plain of jars. We’re rounding off the year by spending a month in Vietnam before heading to Cambodia and swinging back through Southern Laos. Towards the end of February we’ll be flying to Burma before spending a month in Thailand, re-visiting the Philippines and finally exploring Taiwan before heading back to the UK for a three-month visit. In September 2014 the next phase of our adventure will begin when we move back to Asia to work for a year – something tells me 2014 is going to be just as incredible as 2013! Travel with Bender – How many countries did we travel in the last 574 days? World Travel Family – How many countries have you been to? Ramble Crunch – So, how many countries have we been to? We visited half of those this year. Hope to get to a few of the others next year. Now I’ve added the Neighbours Tour to my list of things to do. LOL. I see we agree on Malaysian food ( blegh!) and crappy yet expensive accommodation. Happy Christmas guys! This is great! I love the format you followed so we can easily see what you liked and didn’t like for each place. You are a fun couple to follow and thanks for sharing all of your amazing adventures and costs! Thanks Heidi! We love following your journey too. What an amazing year and some really lovely photos. I am jealous of all your Asian adventures and am flying out there myself before the end of this year, hoping to spend much of 2014 in a part of the world I love. Thanks Jamie, our first year on the road was more incredible than we ever anticipated and has only inspired us to fill as many more years with travel as we can. Exciting to hear you’re heading back to Asia! You’ve done some major exploring in the past 10 years and I’m glad to have followed the adventure. Did you land teaching jobs for September 2014? Thanks Patti! We haven’t landed jobs yet, we’ll start looking into that when we visit Taiwan in May – fingers crossed it works out! Ha! Ha! I just realized I wrote 10 years instead of 10 months. My bad. Good luck with the teaching gigs, I hope you land exactly what you’re looking for. I thought that’s what you meant 🙂 Thanks for the nice wishes too. Wow, you have big plans! Looking forward to hearing about the place you intend to return to in Asia for work… Our family keeps on investigating new destinations but almost every year we return to Asia…you now also know why! Great run down. Yes, we definitely know why! It isn’t definite yet but we are hoping to make a decision about which country to settle in for a year once we’ve visited Taiwan in May. Laos is very different to the other countries surrounding it; very, very laid back and slow paced. Definitely worth a look! We’ll be back to sample more ourselves in Feb.
Wow, an awesome year! I’ve got a bunch of these places on my travel plans for 2014, so this has me really stoked! Thanks Brendan, hope you Have a great 2014 filled with travel too. Thanks Gabi! We certainly have had a marvelous adventure – can’t wait to see what 2014 brings! What a beautiful adventure! I really love how you put all of this together. We are hoping to visit SEA soon, and this is a wonderful overview of your experiences. Good to know about the spiders and roaches 🙂 Cheers to an experience-filled 2014! Thanks Laurel; yes, definitely watch out for the spiders and roaches in SEA!